As I mentioned, Sao Paulo surprised me and one of the best aspects of the city was spending time with Angela Goldstein. When she reached out to me her intention was to take me to the Sao Paulo market although I didn’t know that so I jumped in and asked if we could go. Great minds think alike. It was such a great time. I created this short video that I hope captures the hours we spent there. It’s a bit of a different tone from my previous videos but I hope you like it. The Sao Paulo market is a vibrant place to visit, and especially with a friend who knows her way around. It was a highlight of my trip to Sao Paulo, and is amazing even without a local guide. 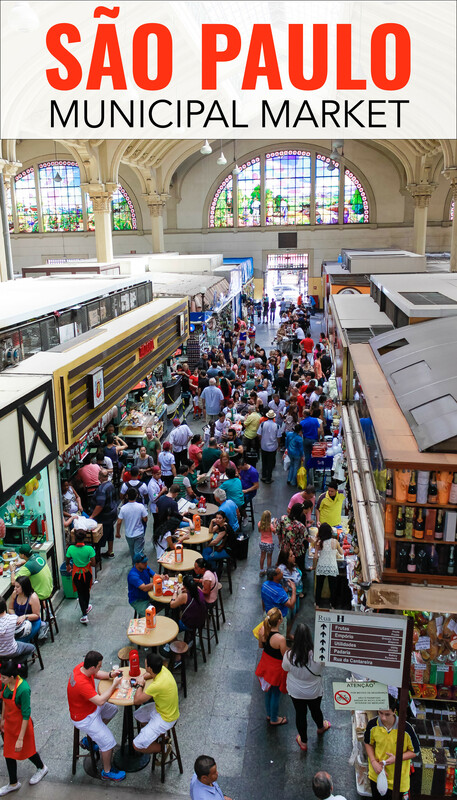 If you are planning to go to the Municipal Market, here are a few things that will help you know a little more about what to expect when you visit the market, and how to get there. Where is the Municipal Market? The market, which is usually known as Mercadao by the locals. It is located in the historic district of Sé, which is one of the oldest parts of Sao Paulo, within the original city limits. The stunning Catedral de Sé is one of the landmarks that is fairly close to the marke. While the area around the market is not quite so grand, it is certainly a bustling area, where everything seems to revolve around the market building. The Tamanduetei River is rather underwhelming on one side of the market, but the Avenida Mercurio is a busy street with good transport connections on the north side of the market. How to Get to the Municipal Market of Sao Paulo? The market has good transport connections with the rest of the city. The subway is one of the best ways to get there, station Luz is the closest to the Sao Paulo market. Station Luz is on Line 1 (the blue line on the metro maps) which runs from north to south. It’s only a a ten minute walk to the Municipal Market from this station. If you’d prefer not to walk you can connect to the bus line. The nearest stop for routes to Avenida Paulista is also from the metro station at Luz. As well the bus that stops directly outside the market has connections to the Teatro Municipal and other sites around the city. The market building dates from the late 1920s when it was designed. 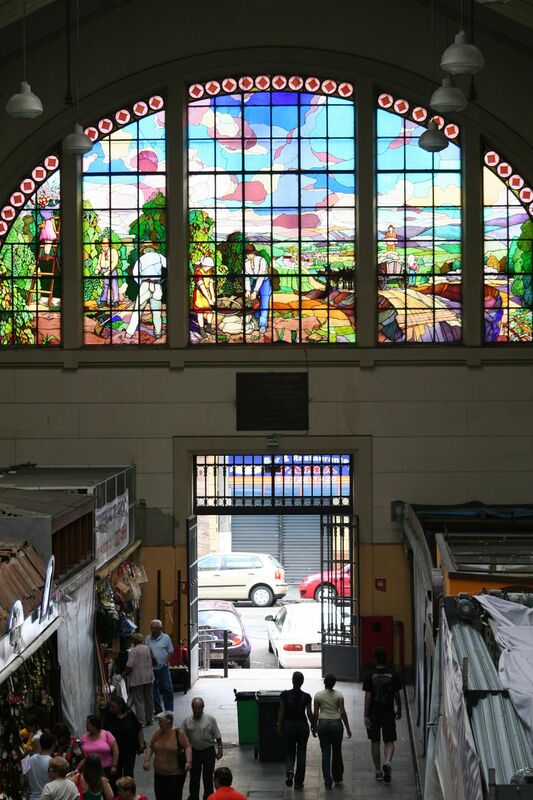 The market opened to the public in 1933, with the facade designed by noted architect Felisberto Ranzini. Probably the most distinctive aspect of the design is the wonderful light in the market. This is provided by the large stained glass windows that adorn the upper areas of the walls. These draw the eyes upwards when you are inside. Italso reveals the wonderful vaulted ceiling which is another of the dramatic features in this lovely building. A trip up to the second floor mezzanine for a drink and a bite to eat will provide the ideal spot from which to admire the architecture for a little while. The Mercadao is primarily a food market. If you explore the stalls on the main floor early enough you’ll see local cooks and chefs from some of the city’s best restaurants. There are all kinds of different local ingredients, fresh produce, preserves, grains, sauces and almost every other type of food that you could imagine here. However, when it comes to the most dramatic stalls, it is certainly the bright colours of the fruit stalls that will really stand out. It’s an instagrammer’s paradise with pyramids and piles of fresh fruit, some of which are familiar but with many being new for most visitors. Do not miss the cashew fruit, did you know cashews came from a fruit? The first key tip to remember when you are visiting the market is not to load up on the first stall that you visit. It’s a rookie move. You’ll find yourself carrying that bag of fruit for the rest of your visit, and that can be for a long time as there’s so much to see. Among the items worth looking out for if you fancy a snack during your visit is the mortadella sandwich. A meaty feast inside a traditional bread roll that is intimidating in its size. Another snack worth trying, is the cod pastel, a pastry stuffed with cod and diced potatoes in a parsley sauce. There are also several stalls that sell fruit juice in the market. It’s an experience on its own to try these exotic blends. On the second floor of the market many visitors rest their tired feet after exploring the market. There are a wealth of amazing restaurants to enjoy here. These restaurants and bars make great use of the ingredients available downstairs. And you can enjoy cocktails made with fresh fruits to accompany the wonderful dishes on offer here. I had a caipirinha where the server brought over several different options for flavours (watch the video). I also ordered a shrimp pastel, which is kind of like a giant shrimp and cheese empanada. It wasn’t expensive at all. However, some of the restaurants upstairs are upmarket meeting spots. Before you spend a fortune check the prices on the menu before taking a seat and placing your order. 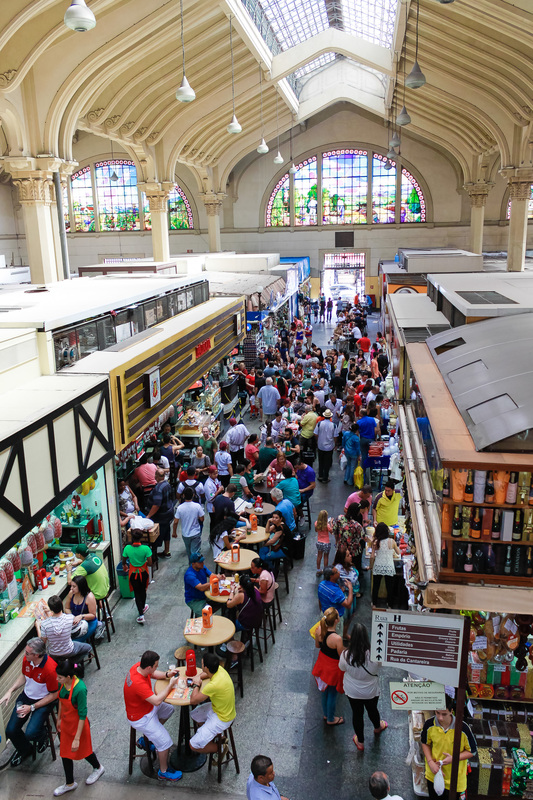 A visit to the Municipal Market in Sao Paulo is no more dangerous than any other tourist attraction in the city. As long as you are vigilant, and stay on the main roads around the market you will be as safe as the thousands of other visitors in the area. Pickpockets do operate in the area, so make sure you keep your purse or wallet and documents in an inside pocket. Make sure any valuables like cameras aren’t left exposed. Many of the stalls will offer free samples, and they may try to encourage you to make a purchase having tried their wares. But if they start to get too pushy, be ready to walk away. 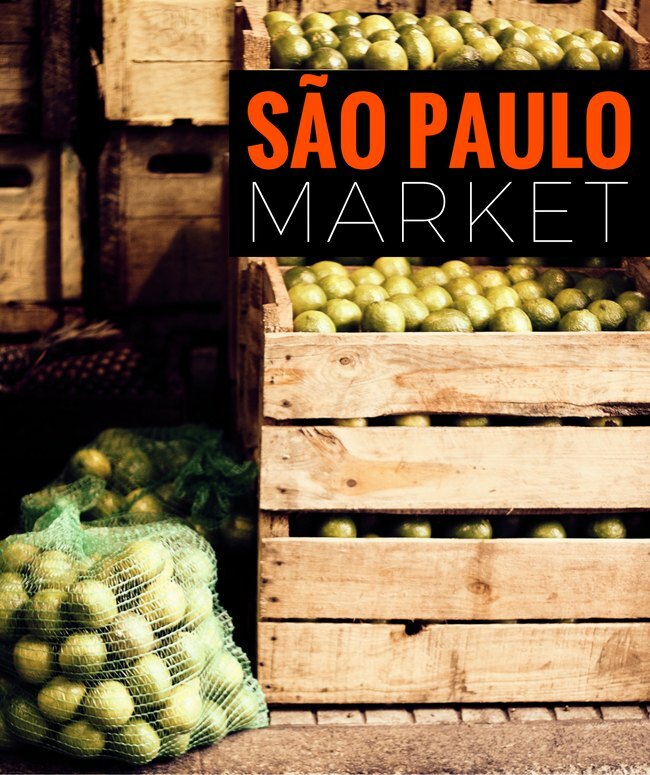 Have you been to Sao Paulo market? If so what was your favourite part? Like the video! Sao Paolo is not my favourite place, but looks like having a local show you round is the way to go. Looks like a really delicious day! Love the video. The video’s awesome. I have a craving for those Brazilian pastels now! Sao Paulo looks like a very nice place to visit. Great job, Ayngelina. Fun video and nice work showing the fun of this place. Congratulations on the blog Ayngelina! 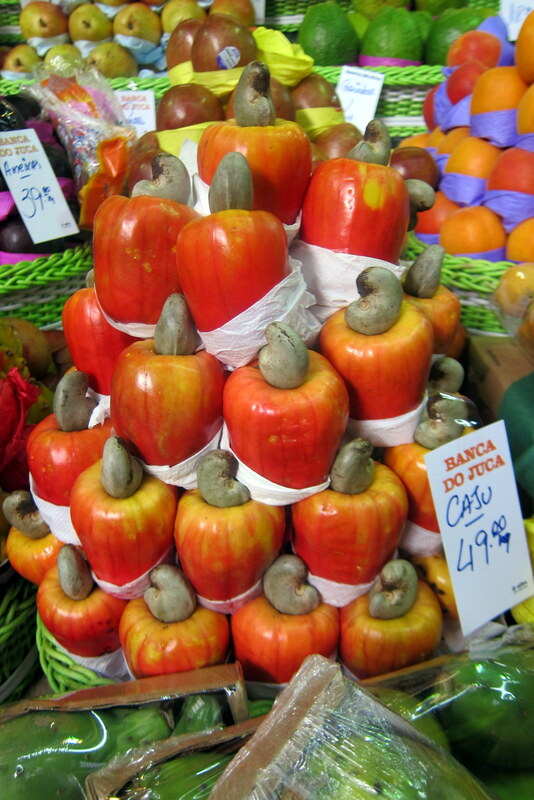 I love going to São Paulo, especially in the market where there are many varieties of food.